Tools to help work through end-of-chapter assignments with these working papers. The preformatted files provide a starting point by giving a basic structure for journal entries and problems. 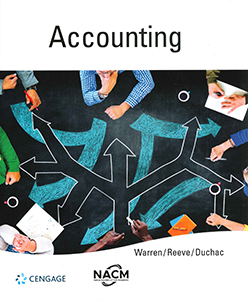 Market-leading Warren/Reeve/Duchac ACCOUNTING has been on the forefront of innovation and change based on the needs of today's teaching and learning environment. The 8th edition of Business Credit Principles has been thoroughly reviewed for its content and resources to ensure that it is the premier educational text for any credit professional. This edition either expanded or added the following elements to provide better structure and resources to facilitate learning the principles of business credit. The updated table of contents allows for easier navigation of the chapters. This includes easier access to specific content, concepts, figures and real world perspectives, which can be found throughout the chapters. This edition is divided into themes, including How Credit Works, The Legal Aspect, Extending Credit, Verifying Creditworthiness, Financing and Payment, and Bankruptcy, to provide readers with a better understanding of the major topics that encompass being a credit professional. The beginning of each chapter now includes questions that are essential to the overall understanding of the section. Designed to be answered with more than a simple "yes" or "no," these questions require the reader to have mastered the core ideas of the chapter in order to thoroughly and adequately respond to the questions. In many cases, there is more than one answer to each question; therefore, a reader who can answer a question thoroughly and defend his or her answer has truly mastered the core ideas within the chapter. This also provides instructors with topics to discuss before and after completing the chapter. Posing these questions at the beginning of a chapter allows for class discussion, the activation of knowledge and the identification of any misconceptions a reader may have so that they may be addressed and corrected by the end of the chapter. Each chapter features integrated comprehension checks, which are a tool for readers and instructors to check their progress throughout the chapter. The ability to correctly answer these questions provides readers with an opportunity to review the material as they read as well as to ensure that essential concepts are not being glossed over. It also provides the instructor with a great stopping point to check for student understanding. Real world perspectives provide the reader with a look into how concepts throughout the book are used daily by credit professionals. The stories from credit professionals provide an invaluable resource for handling complex situations that the credit department faces on a daily basis. Real world perspectives also give instructors a direct connection between the content and its real world application. This edition provides a streamlined summary of each chapter as a guide for reviewing concepts and highlighting key content presented in the chapter. Chapter summaries do not provide the same detail as the chapter, but allow the credit professional to view the necessary key concepts at a glance. Recommended text for the CAP Course, Financial Statement Analysis I.
Fraser and Ormiston take students behind the financial reports to assess the real financial condition and performance of U.S. companies. 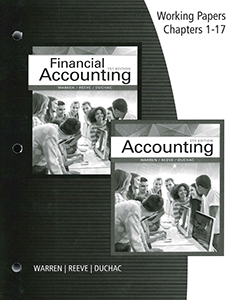 Understanding Financial Statements, retains its reputation for readability, concise coverage, and accessibility, and gives students the conceptual background and analytical tools necessary to understand and interpret business financial statements. Its ultimate goal is to improve students' ability to translate financial statement numbers into a meaningful map for business decisions and enable each student to approach financial statements with enhanced confidence.